MACDONELL (Greenfield), JOHN ALEXANDER, lawyer, political organizer, militia officer, and author; b. 23 June 1851 in Kingston, Upper Canada, son of Archibald John Macdonell (Greenfield), a barrister, and Mary Ann Catherine Innes; m. 3 Sept. 1879 Isabel Sophie Crawford in Toronto; they had no surviving children; d. 11 April 1930 in Alexandria, Ont. 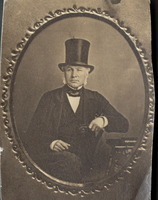 A native of Glengarry County in eastern Upper Canada, John Alexander Macdonell’s father practised law in Kingston and was John A. Macdonald*’s partner from 1855. After he died in 1864, Macdonald mentored the lad, giving him a clerkship in his office. 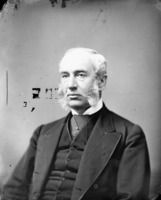 Macdonell’s work in the 1870s for the provincial chief justice and chancellor brought experience in electoral cases. He received further training under Christopher Robinson* in Toronto; called to the bar in 1875, he would practise there until 1888. In 1879 he confirmed his affiliation with eastern Ontario by marrying a daughter of John Willoughby Crawford*, a former lieutenant governor with ties to Brockville. His fierce loyalty to Macdonald, who had become prime minister in 1867, and close understanding of the politics of eastern Ontario, where Scottish names abounded, made him a natural organizer, a fitting partner for such regional leaders in parliament as Alexander Campbell* and John Graham Haggart*. 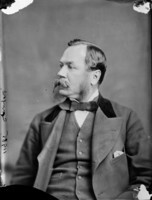 Macdonell helped work the Tory convention of 1874 in Toronto, which was intended to reconstitute the party after the Pacific Scandal and its turnover of power to the Liberals. 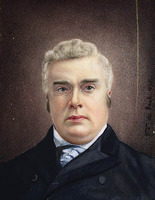 In 1877 he organized party associations in the St Lawrence River constituencies and became secretary of the Toronto Liberal-Conservative Association. Early the following year Macdonald asked the 26-year-old Jack Macdonell – he was also commonly called Jack Greenfield – to become political secretary of the Toronto-based United Empire Club, the core political/social organization of the reviving Conservatives. As Macdonald’s back-room man in Ontario, he was promised a war chest of $10,000, though fund-raiser Charles Tupper* pulled together only about half that. In the election campaign of 1878 Macdonell arranged itineraries for leading politicians, including speakers for the Conservatives’ front group, the Dominion National League. In addition, he dispensed organizational advice to candidates and oversaw the distribution of more than 400,000 campaign documents through the club. The Conservatives returned to power and virtually swept eastern Ontario. Macdonell’s intense partisanship was no more evident than during an episode in the House of Commons on 10 May 1879. Admitted to a seat near the speaker, he abused Lucius Seth Huntington* as a “cheat and swindler,” clearly referring to his role in breaking open the Pacific Scandal, and was ejected three times. He was later forced to apologize to the house for this scandalous behaviour. 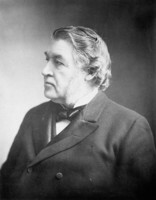 In Toronto he worked after the 1878 victory in a legal partnership with James Joseph Foy, another major organizer, and Tupper’s son James Stewart. Although he had asked for the government’s legal business in eastern Ontario as a reward for his political achievements, he actually took a considerable share of the business in Toronto. Following the financial collapse of the United Empire Club, he was closely involved with establishing the replacement Albany Club in 1882 and he maintained a strong interest in patronage. After recovering from a severe illness in 1887, at which point he was evidently in practice alone, he requested (and had his friends press for) the county judgeship of Prescott and Russell, adjacent to Glengarry, but it appears that the illness may have permanently damaged his speaking ability and he did not receive the post. In 1888 Macdonell moved to Glengarry where, in Alexandria, he formed a partnership with Francis T. Costello, a Liberal. In time they acted as solicitors for the Roman Catholic diocese of Alexandria [see Alexander Macdonell*] and the local Bank of Ottawa and seem to have taken on much government business. 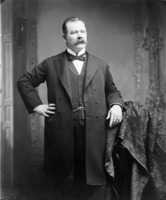 In 1889 the federal minister of justice, Sir John Sparrow David Thompson*, found Macdonell’s billings excessive and his request for advances inappropriate. The combative Macdonell, who claimed he needed the money because of a return of illness, threatened to sue. This altercation may have cooled his political ardour, but he laboured vigorously in the election of 1891. Macdonald’s death that year and the changing demographics of eastern Ontario, where Scottish dominance subsided with the growth of a Canadian-born population, reduced Macdonell’s clout. He also had problems with Roderick (R.) McLennan*, the Conservative incumbent of Glengarry from 1891 to 1900, but he maintained his secretaryship of the Glengarry Liberal-Conservative Association and would continue to do so until 1912. His wife too “made her influence felt on the Conservative side in more than one election” in Glengarry, which turned Liberal in 1900. With the possibility of the Conservatives regaining power nationally in 1911, Macdonell worked hard in eastern Ontario. 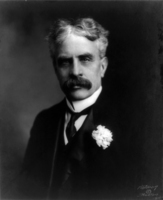 In 1917 he connived with Costello to bring Glengarry into Sir Robert Laird Borden*’s Union government. After 1918 his political activity seems to have declined sharply. Costello was appointed county judge in 1929 and Macdonell then briefly partnered with a cousin, Donald Alexander Macdonald. Macdonell’s interests were largely bounded by his regional and Highland background. He collected and in his will left to a family representative, for keeping and distribution, historical and military items stretching back to the battle of Culloden in 1746 and including a treasured correspondence with Macdonald. 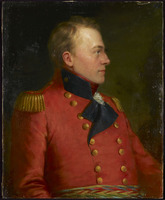 His fascination with the military was displayed as well in his captaincy in the 59th (Stormont and Glengarry) Battalion of Infantry between 1888 and 1897, in an article on General Sir Isaac Brock*, and in his history of Glengarry, where care was lavished on the military exploits of eastern Ontario Highlanders. He wanted battleground cairns erected to mark the War of 1812, in which his great-grandfather Alexander Macdonell of Greenfield and two great-uncles, John Macdonell* (Greenfield) (an aide-de-camp to Brock) and Donald Macdonell* (Greenfield), had served. 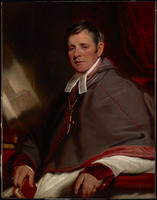 His strong Catholic faith was exhibited in his memoir of Bishop Alexander McDonell*, a one-time chaplain of the Glengarry Light Infantry Fencibles. Deeply conservative, Macdonell believed strongly in hierarchy: in 1904 he attempted to form a second Glengarry regiment in which the officers were to be only landed gentry and professional men. His vanity was assuaged in 1912 when the minister of militia and defence, Samuel Hughes, appointed him to the department’s cadet corps committee with the honorary rank of lieutenant-colonel. Macdonell’s upright posture and groomed beard projected his military bearing and forceful character. Especially engaged in charitable activities during World War I, he also enjoyed his garden; his wife tended to music, elocution, and horsemanship. In declining health for two years, Jack Greenfield nonetheless visited his office regularly until shortly before his death. Isabel Macdonell, who lived in the town of Prescott in 1903, had at the time of his passing a residence in Brockville, where she held some of his furniture and much of his library, though these were bequeathed to a grand-nephew. Isabel received nothing, but, with some of his close friends, she was at his deathbed. It could not have been easy to live with a man of sometimes choleric passion and a prodigious capacity for drink, though his rough good humour and loyalty made him well liked, as the many funerary visitors attested. He was buried in the Catholic cemetery at St Raphaels. John Alexander Macdonell (Greenfield) is the author of A sketch of the life of the Honourable and Right Reverend Alexander Macdonell . . . ([Alexandria, Ont. ], 1890), Sketches illustrating the early settlement and history of Glengarry in Canada, relating principally to the Revolutionary War of 1775–83, the War of 1812–14 and the rebellion of 1837–8 . . . (Montreal, 1893), and “Major General Sir Isaac Brock, k.b.,” Ont. Hist. Soc., Papers and Records (later OH), 10 (1913): 5–32. His papers can be found in NA, MG 27, I, I15. His will is published in Glengarry Hist. Soc., Glengarry Hist. Research Notes (Williamstown, Ont. ), no.1 (1992). AO, F 978, St Mary’s Roman Catholic Cathedral, Kingston, Ont., RBMB; RG 80-5-0-87, no.12835. LAC, MG 26, A; F; H; MG 27, I, C2; E8. Glengarry News (Alexandria), 18 April 1930. Globe, 26 Aug. 1878; 12 May 1879; 6 June, 19 Nov. 1887; 17 March 1892. Ottawa Free Press, 22 Oct. 1878. William Boss, The Stormont, Dundas and Glengarry Highlanders, 1783–1951 (Ottawa, 1952). Canada Gazette, 15 Feb. 1890: 1645. Canadian men and women of the time (Morgan; 1898 and 1912). E. M. Chadwick, Ontarian families: genealogies of United-Empire-Loyalist and other pioneer families of Upper Canada (2v., Toronto, 1894–98; repr., 2v. in 1, Lambertville, N.J., ), 1: 9–10. Ben Forster, A conjunction of interests: business, politics and tariffs, 1825–1879 (Toronto, 1986); “A Conservative heart: the United Empire Club, 1874–1882,” OH, 78 (1986): 83–104. J. G. Harkness, Stormont, Dundas and Glengarry; a history, 1784–1945 (Oshawa, Ont., 1946). Types of Canadian women . . . , ed. H. J. Morgan (Toronto, 1903), 217. Ben Forster, “MACDONELL (Greenfield), JOHN ALEXANDER,” in Dictionary of Canadian Biography, vol. 15, University of Toronto/Université Laval, 2003–, accessed April 24, 2019, http://www.biographi.ca/en/bio/macdonell_john_alexander_15E.html.